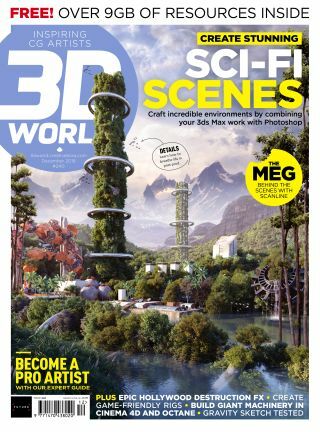 Here you'll find all the files, resources and videos to accompany issue 240 of 3D World magazine. To download the accompanying files for 3D World issue 240, simply click the link below each article and a zip file will automatically download the content to your Mac or PC. If you've missed this issue or other editions of 3D World, order a copy. Follow along with Oscar Juarez and build your own alien world. In this detailed step by step tutorial you will learn how to utilise CAD data inside of Cinema 4D, to help create accurate machinery. Follow along with Martin Nebelong to learn how to add Marmoset to your VR projects, to enhance what is capable with this exciting pipeline.